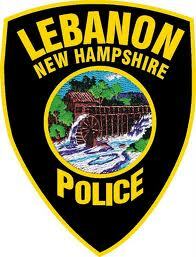 Lebanon Police continue to investigate an armed robbery which happened on Monday, October 9, 2017 at approximately 12:30am at the McDonald’s on Plainfield Road in West Lebanon. The police department is seeking additional information as to the suspect’s identity. An updated description is of a male subject, believed to be in his 20’s or 30’s, approximately 5’11”, average build, who was wearing black shoes, black pants and a black sweatshirt with a red hood or a black sweatshirt over a red sweatshirt. The male may have also been wearing a black plastic mask similar to a motocross or paintball helmet. The male is believed to have fled on foot toward the rear of McDonalds. Anyone with information is encouraged to call the Lebanon Police Department at 603-448-1212 or by calling our anonymous tip line at 603-448-CLUE (2583).